Brief Synopsis – Biography of one of the most controversial Governors in US History who helped keep the idea of racism alive in the South while also trying to gain the most powerful political position in the land. My Take on it – This is a great example of a Biopic that gives us an amazing lead performance but lacks the strength in the story to keep things interesting the entire time. 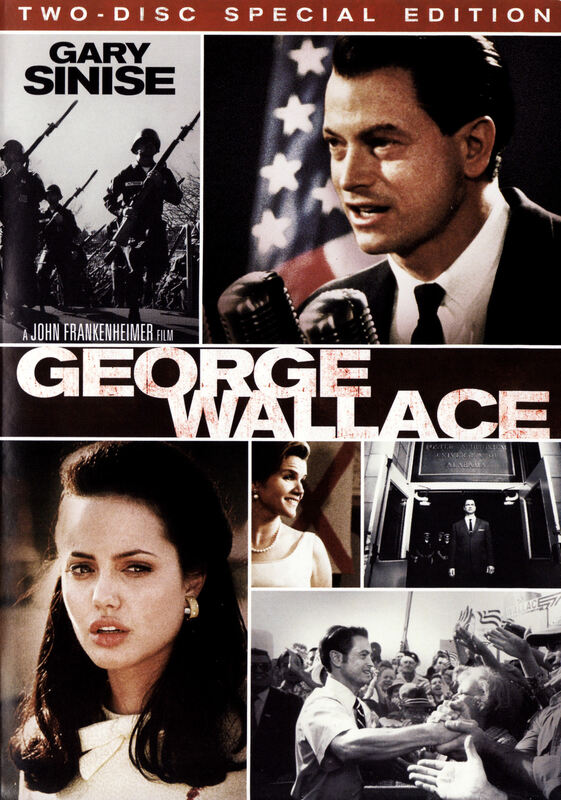 Gary Sinise is perfect as the lead role of George Wallace and definitely deserved the Emmy that he was awarded for this role. The story itself feels stretched out over the 3 hour running time and by the end it’s almost unbearable. They do give us a great impression of what life was like in the South during the turbulent times of the 60’s. We get the perspective on everything from a white majority political view which helps us try and understand where the characters were coming from even if we don’t necessarily agree or even tolerate their views. I really liked the way that they were able to show us how both personal and political views can easily be changed depending on where the wind blows around the country. The mixture of color and black and white footage helps make this feel more like a documentary as certain times which helps elevate the story to even higher levels of perceived honesty. Bottom Line – Sinise is amazing here but the story drags on a bit too much towards the end. Gives us a great impression of how life was in the South during the 60’s from the perspective of the politicians and the white majority. Liked the way that they showed how personal and political views could change based solely on how the ideas of the Nations veered. Recommended!